I have never popped popcorn beyond the microwave ones. We love popcorn in movie theater and eat our heart full when at movies. Couple of weeks back, I bought some Popcorn corn from the local market and it was sitting in my counter top staring at me ever since. I wanted to make just the plain old butter popcorn, but the kids wanted the Kettle corn Popcorn. That is when to fit the theme for this week’s BM, I made this 3 Ingredient Old Fashioned Kettle Corn Popcorn. One of our neighbor made us a huge bucket full of Kettle Corn Popcorn, when we first moved into the new house. Ever since then my heart was yearning to make some of my own. She even gave her recipe and said it was not hard at all to make. I have to say, it takes a couple of trial and error to get the corn popping perfect. The shaking of the pan when the corns are popping is a good arm exercise, but worth the 5 minutes of the effort. The popped Kettle Corn Popcorn remained so crisp even the next day. Give it some time after popping as that is when it starts becoming crisp. Do not miss the salt in the recipe. 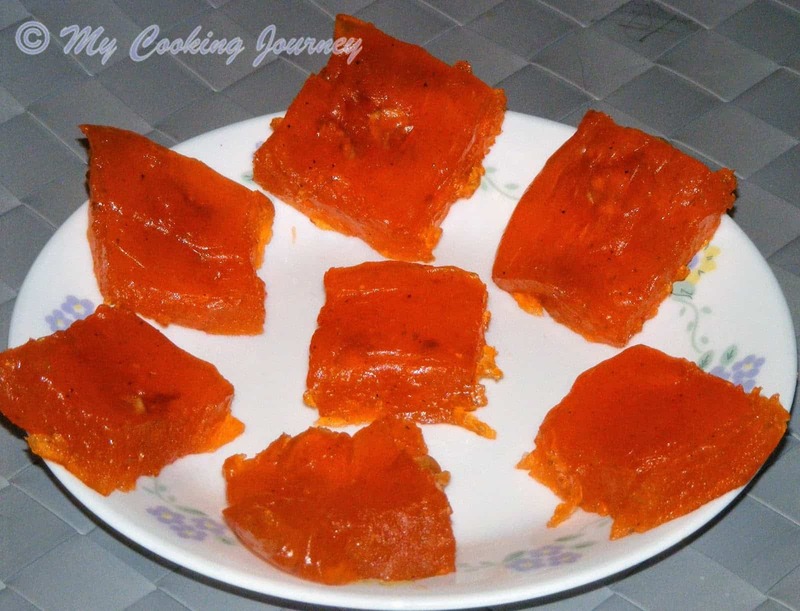 Little bit goes a long way and it brings out the flavor of the sugar even more. I have seen some kettle corn popcorn being snowy white. 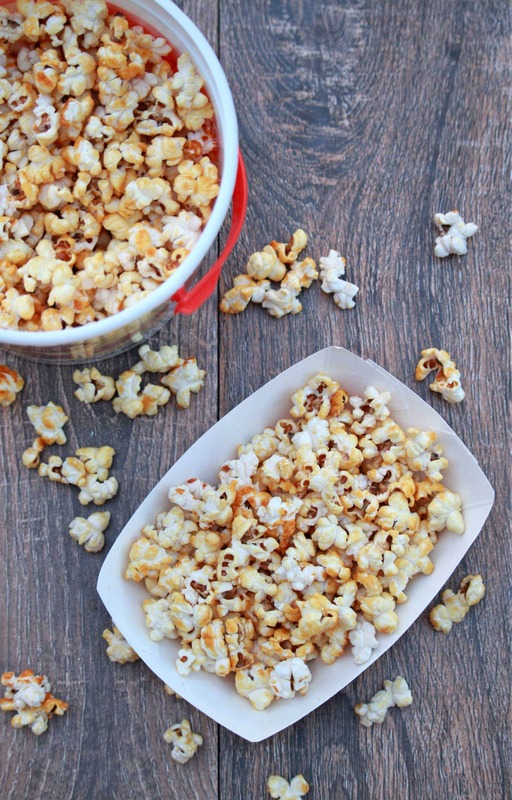 Mine had slight caramelization which I loved, but would still love to keep trying until I get that perfectly white Kettle corn Popcorn. I used coconut oil for the recipe, but you could use vegetable oil if you prefer. Butter is not recommended as it will burn when the corn is popping. 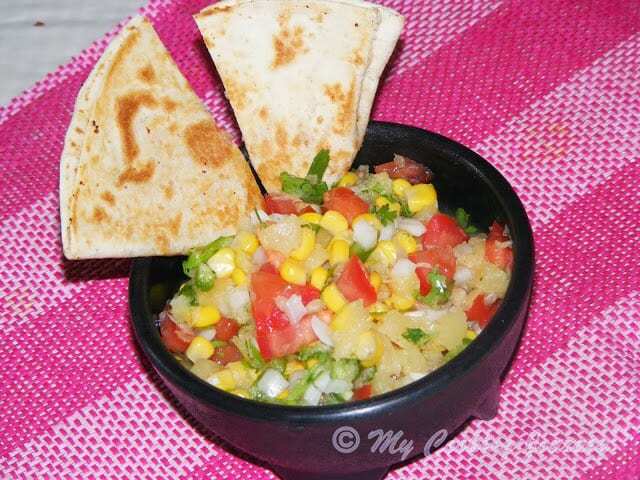 Use a large pot as it will have plenty of room when you are shaking the corn. Measure all the ingredients and keep it close. Have a large, deep pot with a lid ready. Layer a baking sheet with parchment paper and keep it ready. We will be pouring the prepared popcorn on the sheet. Heat the coconut oil in medium heat. 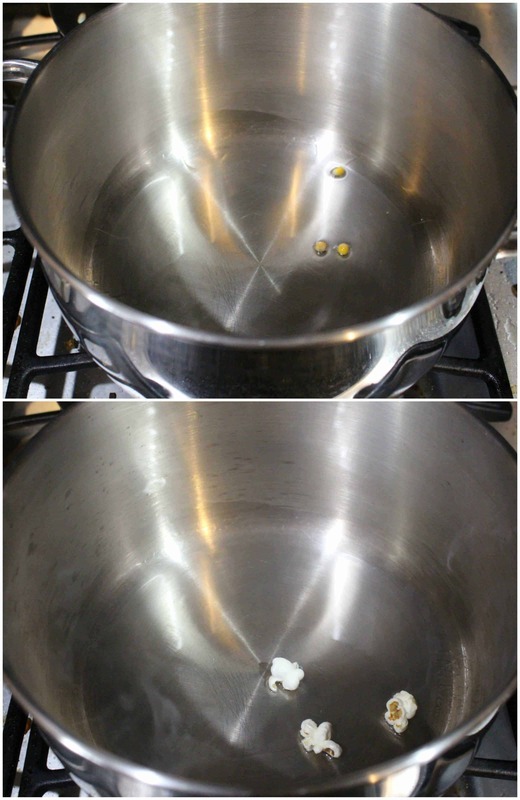 Add 3 corn kernels to the oil and wait for it to pop. This is our indicator to when the oil is at the right temperature. Wait for all 3 kernels to pop. Once all the 3 kernels pop, add the remaining corn kernels along with sugar and salt and mix to combine. Cover the pot with the lid and let the popping begin. Wear a mitten and start shaking the pot. Shake the pit for 3 seconds and replace it on heat for 3 seconds. Keep shaking as this will help in moving the corn and the sugar and will help coat the sugar evenly. Also this would prevent the sugar to settle in the bottom and burn. The shaking of the pot is quite an arm exercise, but worth it. 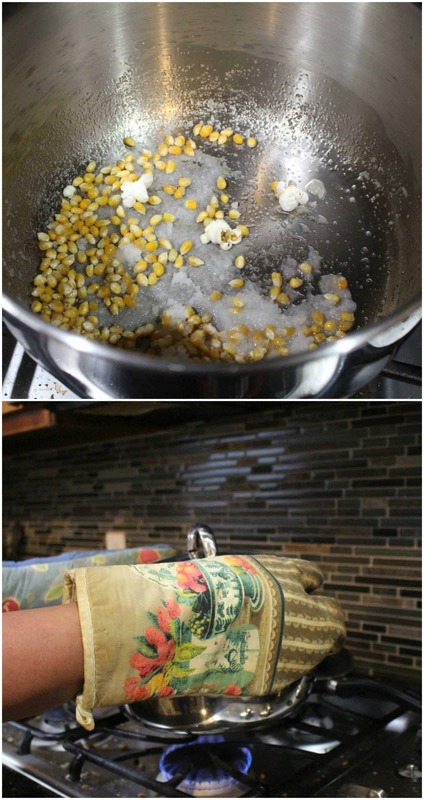 Once the popping slows down and there is 1 to 2 seconds gap between pops, turn off the flame and transfer the popcorn to the prepared sheet right away. The temperature of the sugar would be very high at this point and hence be careful when transferring. Also, transfer it right away to stop the cooking process. 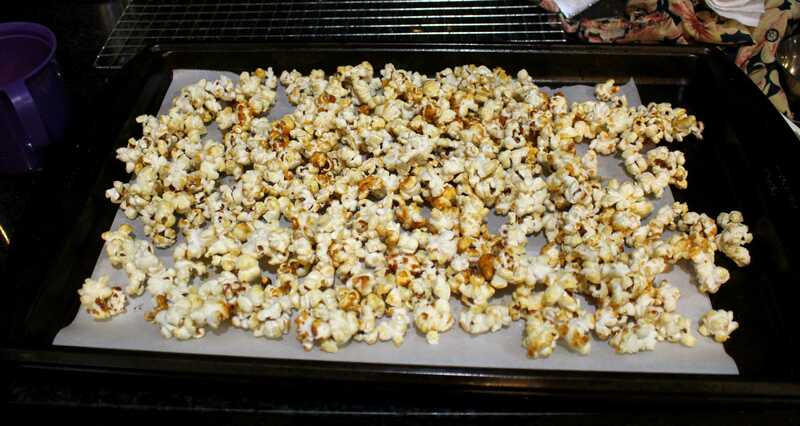 Let the popcorn cool for few seconds and then separate them. Let them cool completely before eating as that is when they become crisp. Store them in an air tight container to retain the crispness. Once all the 3 kernels pop, add the remaining corn kernels with sugar and mix to combine. We love popcorns and have been making it since college days. Still, I never miss the chance to enjoy these in the cinemas. Sathyam is famous for its different spiced popcorns and sells like hot cake!..your popcorn looks so inviting Sandhya, I prefer salt and spice, though I have made with sugar once..looking at the texture of your popped ones, I want to make it again. Popcorns are my weakness and this kettle popcorns are calling me, even i prepared some garam masala popcorns for this theme. Loving yours as well. Oh I am so glad I came across this post, I never knew it was so easy. We love popcorn in our house so this will definitely be fun. Thanks for sharing your neighbors recipe! Good one. We make popcorn at home as well but the spicy version. 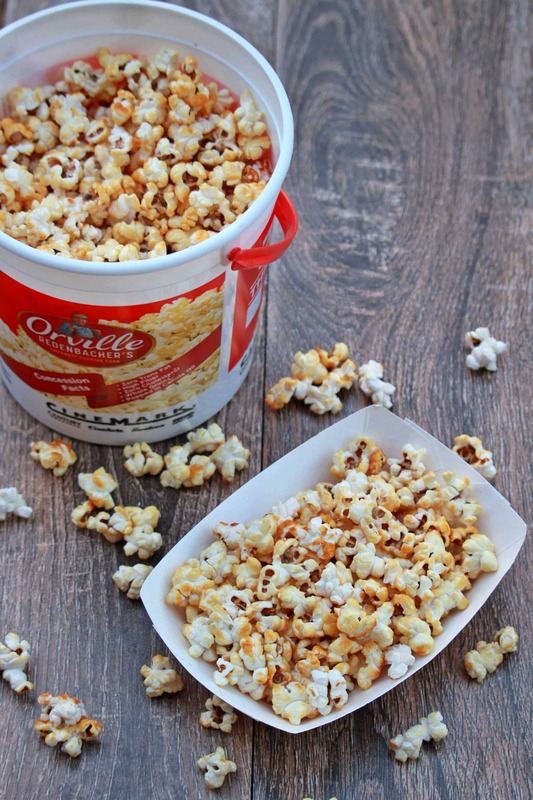 My little one loves the caramel popcorn so I can try this for her. You had me at popcorn! It’s funny because I love kettle corn, and I always forget to make it! Love the easy recipe…love the inspiration 🙂 Thanks! 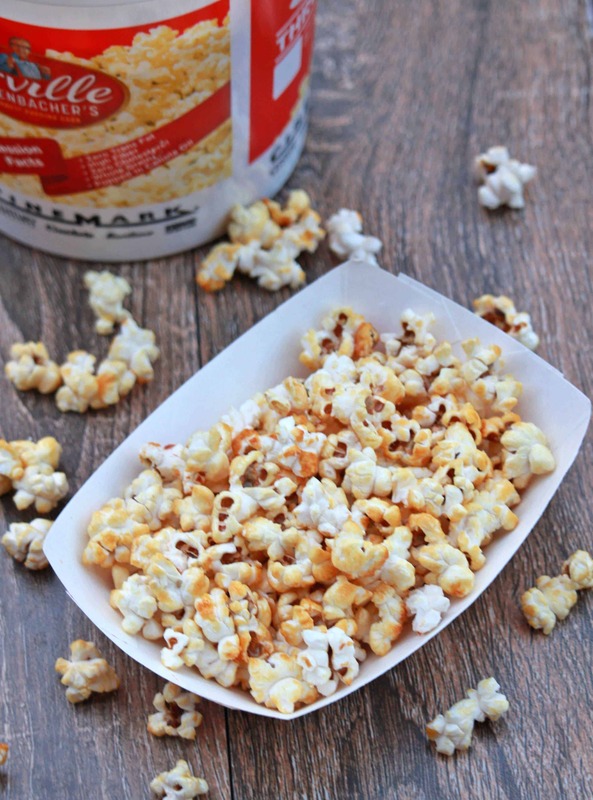 Kettle pop corn is our favorite anytime. . This recipe looks easy peasy. Wow. We love kettle pop corn here at my home. Have you tried eating them with cashew nuts? Hmmm yum. This recipe looks easy to make. Thanks. Love sweet popcorn but didn’t know the right way to make it till I read your recipe. My sugar would get burnt as I would not shake the pan. Thanks for sharing. I don’t make popcorn at home that often but whenever I do, I pop it the old fashioned way. However, never added sugar to popcorn or even when popping. Now you are tempting me to pop some corn ! We always love the salt version of popcorn and hardly tried the sweet version. The sweet popcorn looks like a fun way to enjoy them. oh yumm sandhya, i always prefer the stove-top to the microwave! I too recently learned the technic to pop it properly on stove-top! love the combination of sugar and salt! must taste divine! This way cooked popcorn taste great. I too make then in a pan for my kids. But I have never added sugar. Does it taste like caramel popcorn? Such a quick and very easy recipe! Aroma of corn popping up is something I love so much.